Putting this dress on always makes me feel patriotic - I should wear it on July Fourth, right? - if not a little regal. 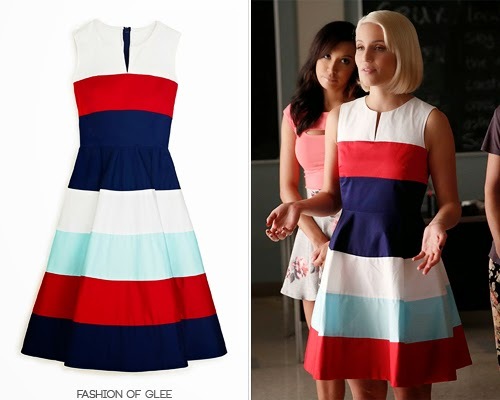 This dress is a true "fit and flare" dress, with a silhouette straight out of the 1950s. Each piece that I'm wearing today is Kate Spade New York. I guess that really does make it all American. 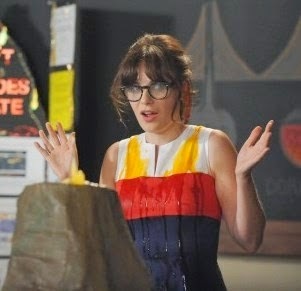 Quinn (Dianna Agron) wore the dress on Glee, and Jess (Zooey Deschanel) wore the dress on New Girl. Who do you think wore it best?